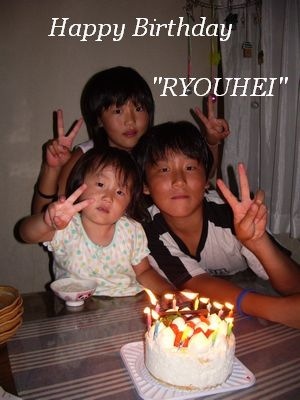 Today is my son’s (Ryouhei) birthday. He became 12 years old. 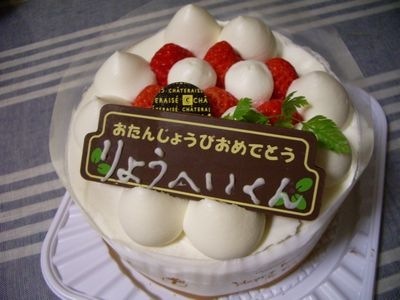 This Cake?Oh…I hadn’t bake time…I bought this cake. 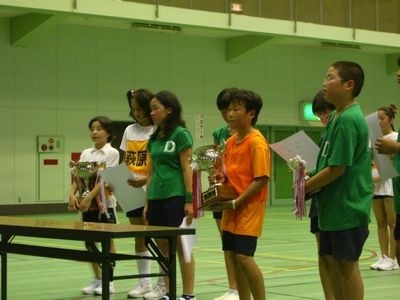 It was district opposition last time, and dodgeball tornament of the city opposition this time(23th of July). To our regret, they have been defeated because of second round. 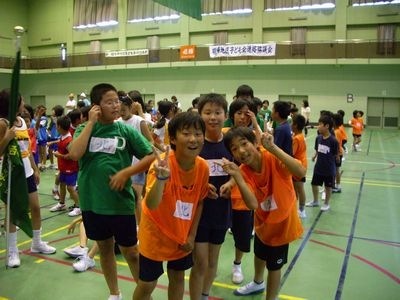 After it had ended, it was depressed because RYOUHEI was dodgeball at the elementary school end. However, I think that they held out very often when hot mesne of this. I am not doing stitch recently. And, summer vacation started on July 19. 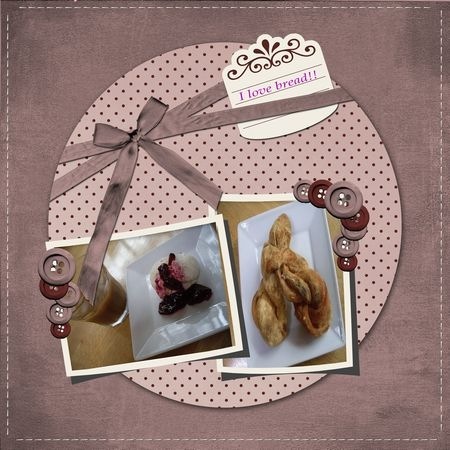 I think that I became busier. 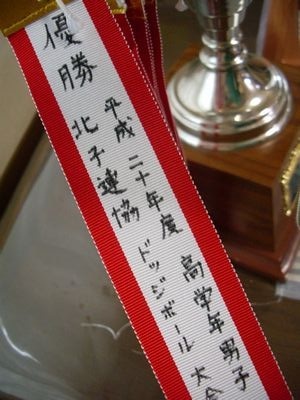 There is a training camp of Bon Festival Dance in the summer festival of the school and the district and sons’ soccer team during summer vacation. I will come for stitch not to renew blog easily for a while either. 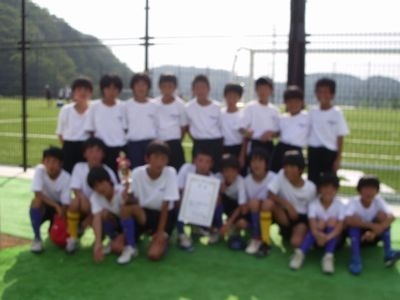 The tournamnet of soccer was held in the Hyogo Prefecture Tatsuno city on 5th and 6th July. It was very hot because of fine weather of both days. We gathered at son’s school, chartered the bus, and spent two time. 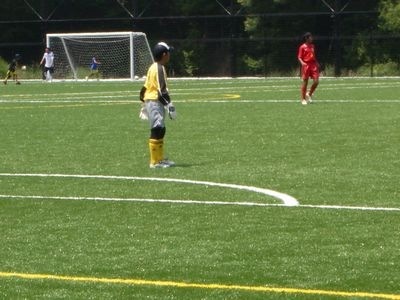 Son’s team was done by two games the day. They went during the second day with two games because they had won. They were defeated because of the second game on the second day. It is no clear.. apologizing for the photograph. The result and they came in 3rd place in 48team. It was possible to go to play a game in the stage on in August when it was 1st place and 2nd place. Regrettably! District opposition dodgeball rally was held on July 6. Team is organized to them with the age. 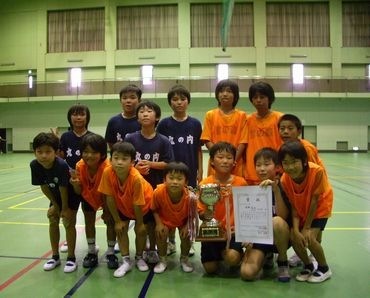 And, the upper-grade boy team of Ryouhei(my son) won the championship. 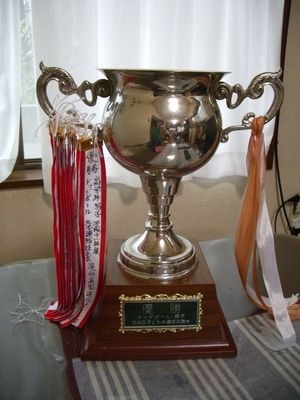 It is captain’s Ryouhei victory cup possession. There was a practice six times at the school after school in June. Every time, it led to their practices because I ‘m a director. A hot middle suchness was practiced every day. It was very hot on this that day of the rally. We assisted desperately. 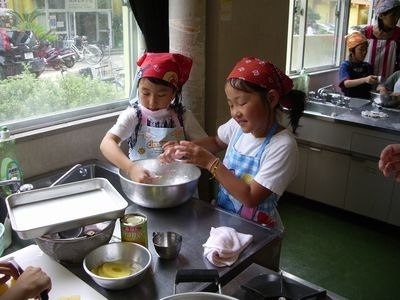 The parent and child study association was held by ami’s school year on June 27. First of all, we were playing sports in the gym. 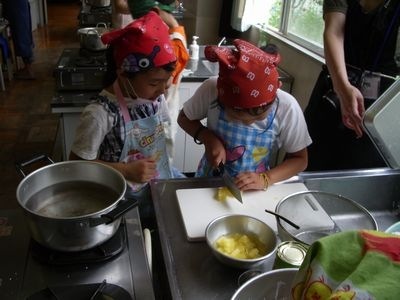 Children cut fruits affixed to the white gem dumpling. ami feels nervous to the use of the kitchen knife. 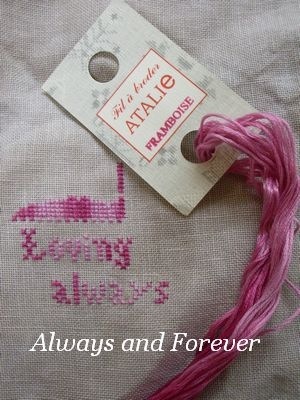 I started “Always and Forever” of Little House Needlworks. We have been married 12 years.It wedding anniversary is 16th on June. I will make this in commemoration of 12 years.